This is No Vent Holes model (it really doesn't matter which tube you use, this model works as replacement for both: no vent holes and vent holes gas tubes). The UltiMAK has a Picatinny style rail positioned well below the iron sight axis, making this the lowest optic mount available for the AK. With a tubular sight mounted low, you will be able to use your optic without a comb riser and still use your regular hold. 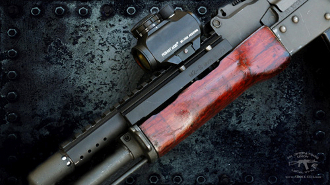 The system allows for co witnessing (the ability to use your iron sights right through a 1x sight as a back-up sighting system) when used with a tubular reflex sight. This heavy duty mount replaces the original steel gas tube and upper handguard, so it adds less than one ounce to the weight of the rifle, making it by far the lightest optic mount installation in the world. The forward positioning of the optic gives you faster, easier and more natural targeting while maintaining your full field of view. Multiple target or moving target engagements, with both eyes open, become second nature. The mount rarely if ever needs to be removed to clean the rifle, so you need not worry about loss of zero. 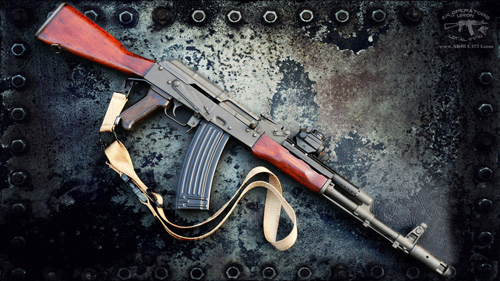 Since the mount is clamped to the barrel and not jammed in between the gas block and the sight block like the original gas tube, several UltiMAK users have reported an improvement in their AKs' inherent accuracy.